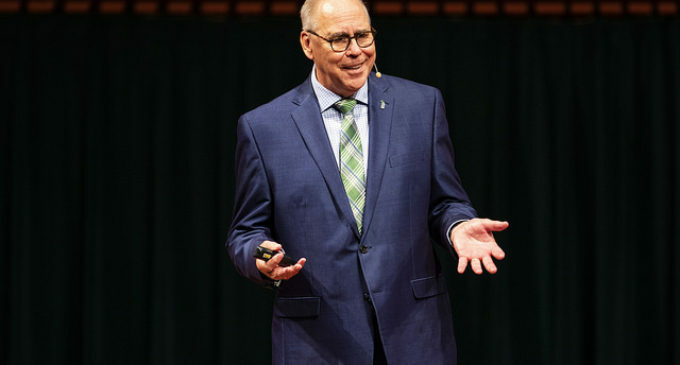 UNT President Neal Smatresk spoke about student success, campus developments and funding at the annual State of the University address Thursday afternoon at the Winspear Performance Hall to a crowd of donors, city officials and UNT faculty. Smatresk highlighted the past year’s saying it was a record-setting year — and plans for the university to continue being a “catalyst” for students’ transformations during their time at UNT. “It is, in fact, our primary mission to drive student success,” Smatresk said. Dr. Sheri Broyles, the chairperson of the faculty senate and advertising professor, said UNT has accomplished “so much” since Smatresk became president in 2014. “[Smatresk] believes that in an age of disruption, UNT has an opportunity to become central to the growth of the creative economy,” Broyles said. Richard Dixon, a distinguished research professor in the department of biological sciences, was also recognized by Smatresk for his recent election into the Royal Society, an organization founded in the 1660s dedicated to the understanding and advancement of science. Smatresk said this year saw the highest number of students to graduate with 9,465 degrees awarded. He added when more students graduate in a timely fashion, it minimizes debt and contributes to the workforce. Student success was the only topic in UNT’s Planning Implementation Workshop, according to Smatresk’s presentation. Retention rate for first-time college students and transfers increased to 78.6 and 78.2 percent, respectively. Under the leadership of Narendra Dahotre, interim vice president for research, UNT made strides to get a $6 million increase in funding for research expenditure, Smatresk said. This brought research expenditures to more than $37 million, according to his presentation. “This is a great achievement and it sets a high-water mark for research productivity in our university,” Smatresk said. At the 2016 address, Smatresk said the university was moving toward becoming a Minority Serving Institution. Smatresk said UNT is now a minority majority institution and they will apply as a Minority Serving Institution. 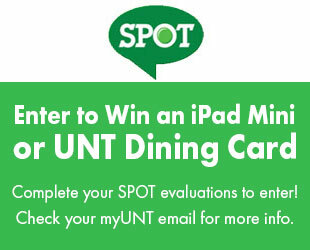 Which would mean that UNT reaches this federally-defined status based on demographic data points on the minority population at a campus. “There won’t be a wonderful workforce future for our state unless we embrace the diversity of our state and work hard to make sure our students achieve at the highest level,” Smatresk said. There are a number of campus developments happening and Smatresk said these developments are important to continue to serve the educational needs of students, and research and scholarly needs of faculty. One development is the new branch campus in Frisco, which will be called Inspire Park. The North Texas Daily reported in May the project will cost about $100 million. Spaces for students to study are also being added. Smatresk said the College of Visual Arts and Design is in its second phase and a biomedical engineering building is under construction. A video review of the last few state of the university addresses showed Smatresk saying he wanted to expand spaces for students to study. This video also included recent comments from students in visual arts and biomedical engineering speaking about their excitement for the new buildings. Other projects include a new dining hall–which will result in the closure of a current dining hall–and Joe Greene Hall. “[It is] about time we name [a building] after arguably one of the greatest football players in history — certainly one of the greatest in our history,” Smatresk said. The MARTIAL Eagles, a living learning community that focuses on the success of its students and the history of African American culture, were highlighted in a video and were present at the event. The program is for incoming freshmen up until their second year. “I saw the passion that he had when he talked about the different ideas that he wants to start for the new year and I feel like he’s reached a bunch of different people,” accounting sophomore Claude Knox said. Although it has been a year of many successes, Smatresk said UNT needs to continue to look forward.